Those who enjoy golf history know that the first course in America is said to be the Oakhurst Golf Club in White Sulphur Springs, West Virginia. The course’s founder, Russell Montague, was urged by his doctor to move from Boston to a healthier climate. Having fallen in love with the game of golf while studying in Great Britain, he could think of nothing better for his health than a golf course—so he chose West Virginia. Montague and a small group of friends built the course and held the first golf competition, conducted in the Scottish match play tradition, in 1884, which predates the St. Andrews Golf Club of Yonkers, New York, by a few years. It’s no wonder that, even today, most golfers will tell you that there’s something cathartic about being on the course with friends, enjoying not only the game but also the incredible scenery. 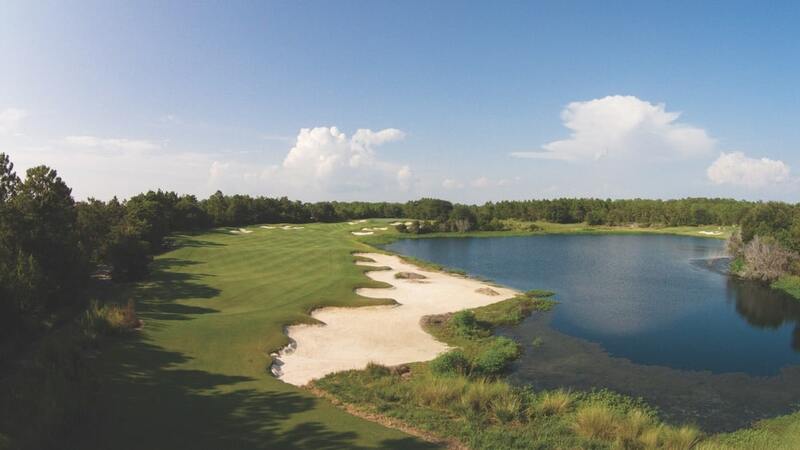 As the game matured and interest in golf grew, courses began to spring up across the country, and it didn’t take long for the first golf course community in America to open in Temple Terrace, Florida, in the 1920s. The first homes built there didn’t include kitchens, as homeowners ate all their meals in the community clubhouse. The game hasn’t changed much, but golf communities have. 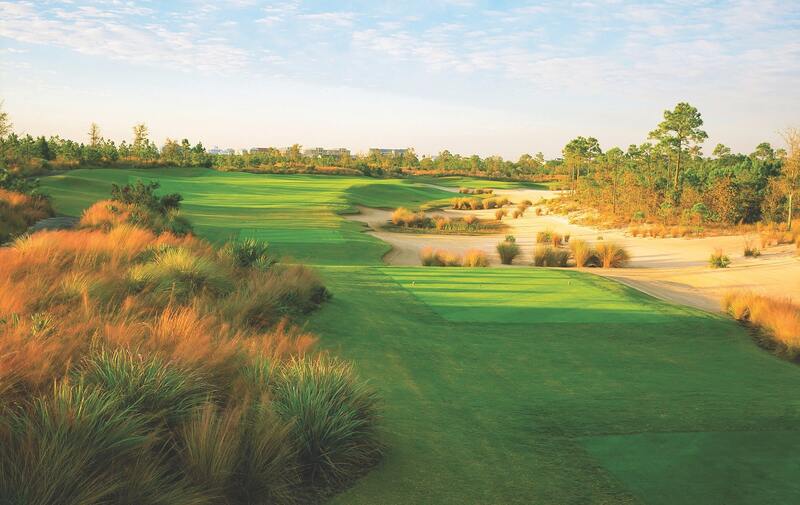 When planning for expansion, communities like Camp Creek in Santa Rosa Beach, Florida, recognize that today’s golf communities have far surpassed the early real estate developer’s vision for what a golf community should look like and offer its members. 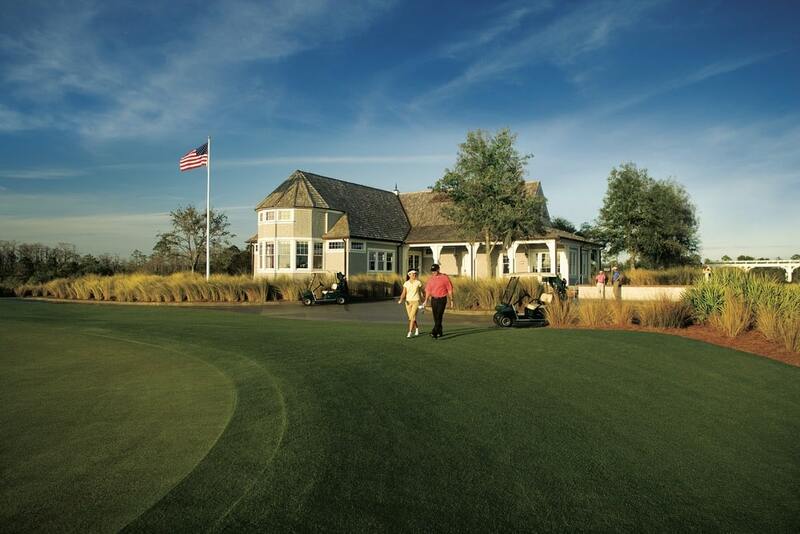 As consumer expectations evolve, golf course communities have followed. “For golf communities to stay relevant and maintain their success, it is paramount that we strive to identify these ever-changing needs, envisioning what the needs might be years into the future,” says Mike Jansen, director of club operations at The Clubs by JOE. After spending nearly a year researching what new amenities other golf communities were bringing to the market, The Clubs by JOE announced in 2018 that it has been working on a plan for investing over $40 million in the proposed development of the Camp Creek Lifestyle Village. While many details of the plan are still to be developed, the current vision for this comprehensive plan includes a health and wellness center, kids club, casual cafe, multisport court including new tennis and pickleball courts, leisure pool, playground, and a seventy-five-key upscale boutique inn. “Our interest in planning these new offerings at Camp Creek is to provide our Members with a modern world-class facility that they and their guests will enjoy for many years to come,” says Patrick Murphy, senior vice president of operations for The St. Joe Company. With new athletics courts, a health and wellness facility, a restaurant and a pool, the well-rounded expansion plan for the Camp Creek site seeks to offer something for everyone. Anticipated to open the initial phase of the expansion in early 2021, the recreation venue will set the standard for the remaining development site. “We found that the most viable of clubs are those that understand their members’ needs and take the initiative to meet those needs,” Jansen says. A welcome respite on hot, sunny days will be the feature pool, currently designed to be 6,500 square feet. Also planned is a zero-entry kids pool with water-spray features, a tower slide, and a 260-foot lazy river. The new pool environment is designed to allow for over two hundred chaise lounges situated across several large decks. For those wishing to hide from the sun for a while, a large shade pavilion and custom cabanas are also in the plans. Members will discover a proposed sixty-foot, adult-only formal fitness pool on the western edge of the pool area. The landscape plans for the pool area contemplate a lush, soft garden feel shaded with palm and oaks. 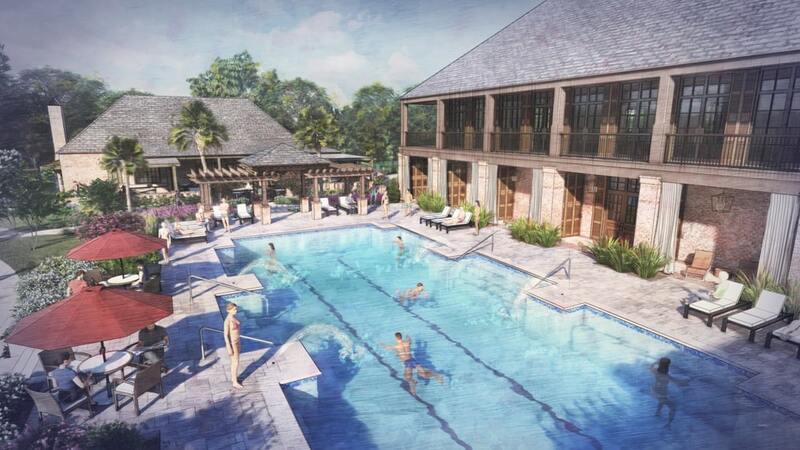 Water is a prominent feature in the plans for the Camp Creek Lifestyle Village, and the pool is designed to serve as a grounding point for both the casual dining cafe and health and wellness center. Envisioned to be an inviting space where Members and their guests can enjoy a morning workout, attend a spin class, or work with a personal trainer, the plans for the Camp Creek health and wellness center include men’s and women’s locker rooms, an outdoor fitness pool, and three other multipurpose rooms. Each of the locker rooms is proposed to include a “wet lounge,” featuring low-ambient lighting, casual seating, and soft music so visitors can enjoy a spa-like dip. Steam rooms, saunas, whirlpools, and a deluge shower round out the space. Plans for the south side of the pool feature a casual dining restaurant. The proposed concept is a smokehouse with a Creole influence with barbecue as its signature offering. Inviting picnic tables and a fire pit are designed to make the smokehouse’s expansive outdoor seating area a favorite spot to enjoy an evening cocktail or social gathering. The seventy-five-key boutique inn plans to offer guests an exquisite experience framed by heavily landscaped spaces. The eastern portion of the site is dedicated to a variety of athletics courts. Planned for eight lighted Har-Tru courts, tennis lovers will enjoy upping their game. “We have included, as part of the tennis complex plan, a pro shop to be located with proximity to a small stadium-style seating area for tournament play,” says Jansen. For those who enjoy tennis, badminton, and ping-pong, there’s also pickleball. With a growing interest in the area, Members will be excited to know that there are plans to include two courts. And if bocce is your sport of choice, there are several courts in the plans just for you. A half basketball court and a multisport field for outdoor play are also part of the plan. Rounding out this area is the proposed Kids Club, designed as a place where teens will be able to escape with friends to play ping-pong, foosball, stand-up shuffleboard, or pinball. A number of vintage video games and a playground are planned to be added adjacent to the kids club. Taking advantage of the mild climate and interest in outdoor events, a one-and-a-half-acre landscaped park is planned to offer Members the chance to host and visit garden parties, farmer’s markets, and art shows. Moving further west, there are plans to renovate the existing cart barn, and behind it, there are plans for a state-of-the-art golf learning center and driving range. 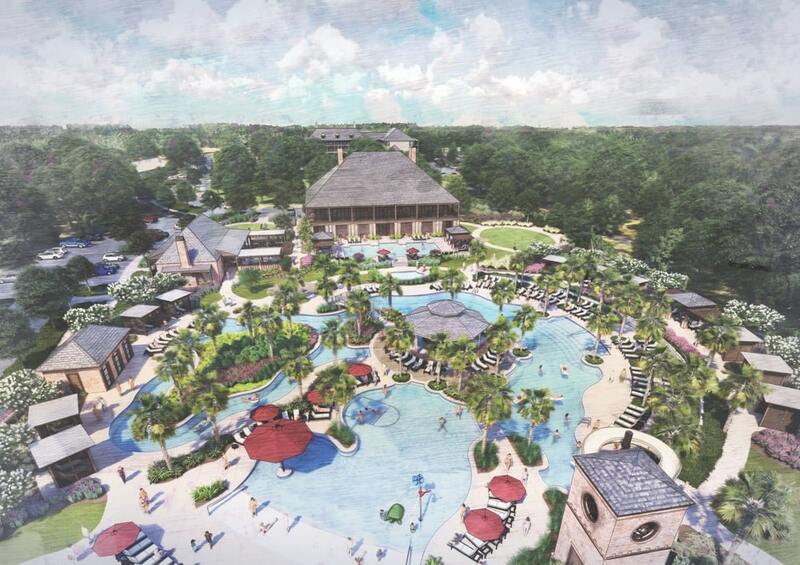 Certain to be “the place,” the new pool at Camp Creek Lifestyle Village is scheduled to have a 270-foot lazy river, a zero-entry kids pool with water-spray features, and over two hundred chaise lounges where members and guests can relax. Having outgrown its original space, the plan is for the Club’s existing pro shop to be razed. The new shop, The Outfitters, is designed to be located on the first floor of the proposed new inn and offer clothing, shoes, branded merchandise, instructional videos, books, and more, in addition to its supply of clubs, golf balls, and bags. 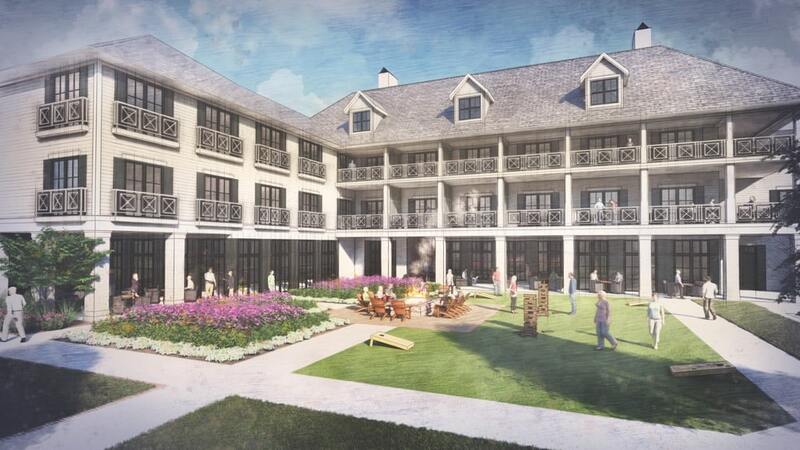 Speaking of the new inn, Camp Creek’s seventy-five-key, three-story boutique inn plans to include a meeting room, men’s and women’s lockers, bar, lounge, and dining room. The inn is also designed to feature a large Creole-inspired outdoor court and gallery from which to sip cocktails while looking out over the golf course landscape, fire pit, and activity lawn. 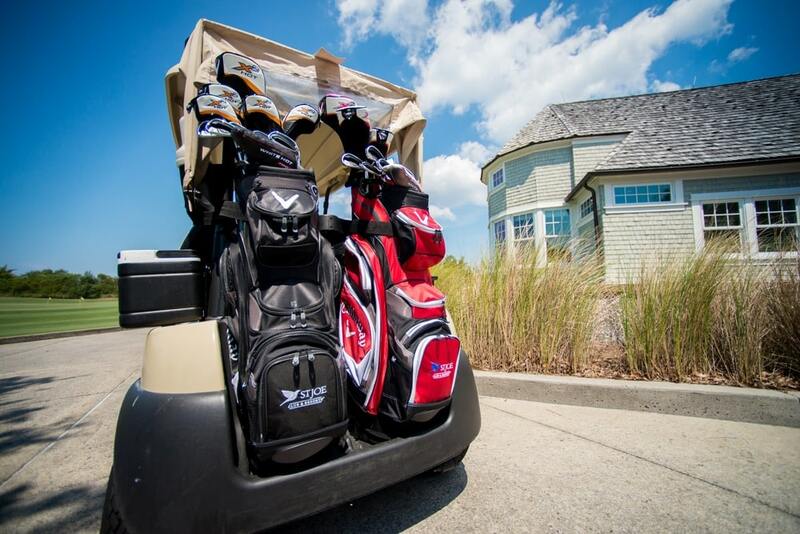 “With our current Club membership of approximately one thousand and utilization of the course at roughly 25 percent, we feel that by keeping the inn small there will be little impact on Members wishing to play golf,” says Jansen. These plans for the various new amenities are exciting, but the proposed architecture and landscape are designed to set this new addition apart from any other community in the market. “We have studied the design precepts of A. Hays Town, a noted architect of the twentieth century, as well as the famed plantation homes of historic River Road which ran from New Orleans to Baton Rouge along the Mississippi River,” says Mark Diedrich, a partner in Kuo Diedrich Chi Architects, the lead design team for all the new structures at Camp Creek. “Town adopted an affinity for combining the French, Spanish, and Creole influences found throughout Louisiana. Town also took the climate of southern Louisiana into account while designing his homes, using large windows, French doors, and an abundance of wide galleries shaded by overhanging roofs.” The setting for these Creole-inspired structures is established by the large shade trees and soft landscaping envisioned by Wood and Partners, the land planners and landscape architects for the Camp Creek site. No doubt Montague would be enthusiastic about the golf course, but he might be just as thrilled with the choices available to improve his quality of life. To celebrate the announcement of the expansion of the Camp Creek Golf Club, The Clubs by JOE is offering a new Lifestyle Membership payment plan opportunity called the Perfect 10. Instead of the requirement that the initial membership fee of $30,000 be paid upon initiation, new members who qualify will pay only $10,000 up front. A second $10,000 will be due upon completion of Camp Creek Lifestyle Village Phase I, and the final $10,000 will be due upon completion of Camp Creek Lifestyle Village Phase II. This unprecedented, limited-time opportunity gives new members the chance to enjoy all of The Clubs by JOE properties, perks, and events while making only one-third of the total initiation fee up front! Terms, conditions and restrictions apply. Contact The Clubs by JOE for complete details. Visit ClubsByJOE.com to learn more about membership opportunities and amenities. Everything described or depicted in this article is proposed and need not be built, or if built, may not be built as described or depicted. All of the amenities and improvements described or depicted are based on current development plans in existence as of November 6, 2018, and those plans are subject to change without notice. Construction of all improvements at the Camp Creek Lifestyle Village will be influenced by factors beyond the control of the developer including without limitation government approvals, consumer behaviors, economic factors, and forces of nature. 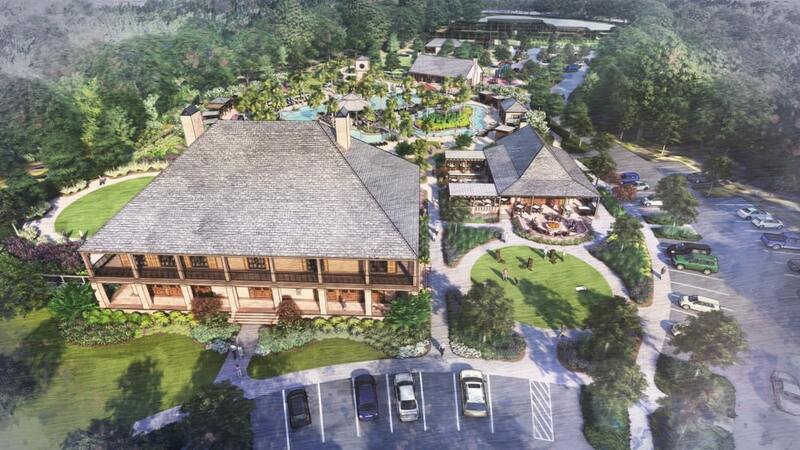 No guarantee is made that any of the future improvements, amenities, facilities, and features at the Camp Creek Lifestyle Village described herein or depicted by artists’ renderings will be built or, if built, will be of the same type, size, or nature as depicted or described. Use of the Camp Creek Golf Club and any related or surrounding amenities is subject to payment of use fees, membership requirements, and other limitations.